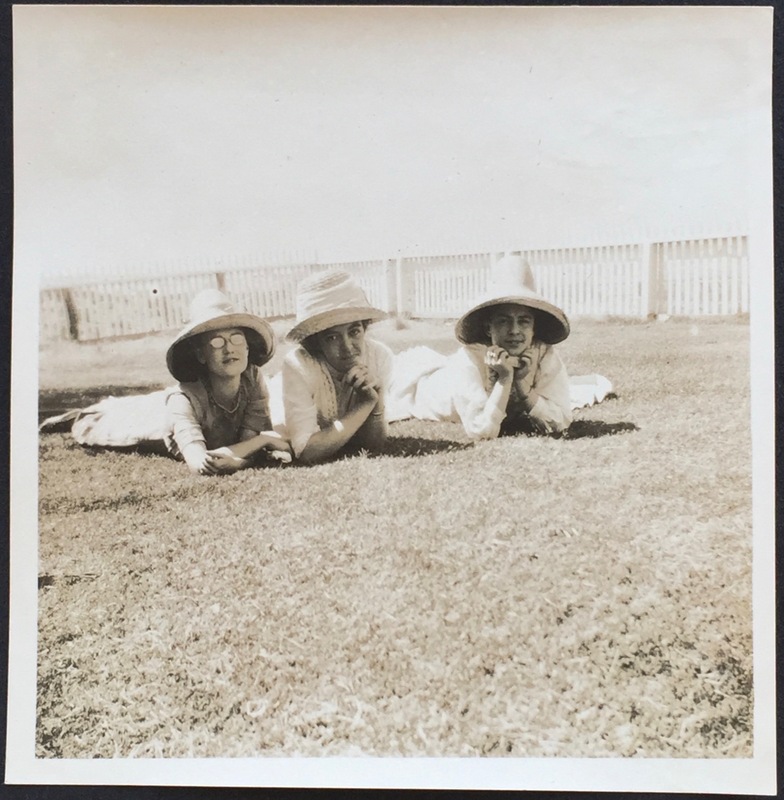 There are dozens and dozens of these photos of the girls, and their friends and family, all printed on thin paper and pasted into albums (I found three albums that had several duplicate photos in common; they must have belonged to different sisters). 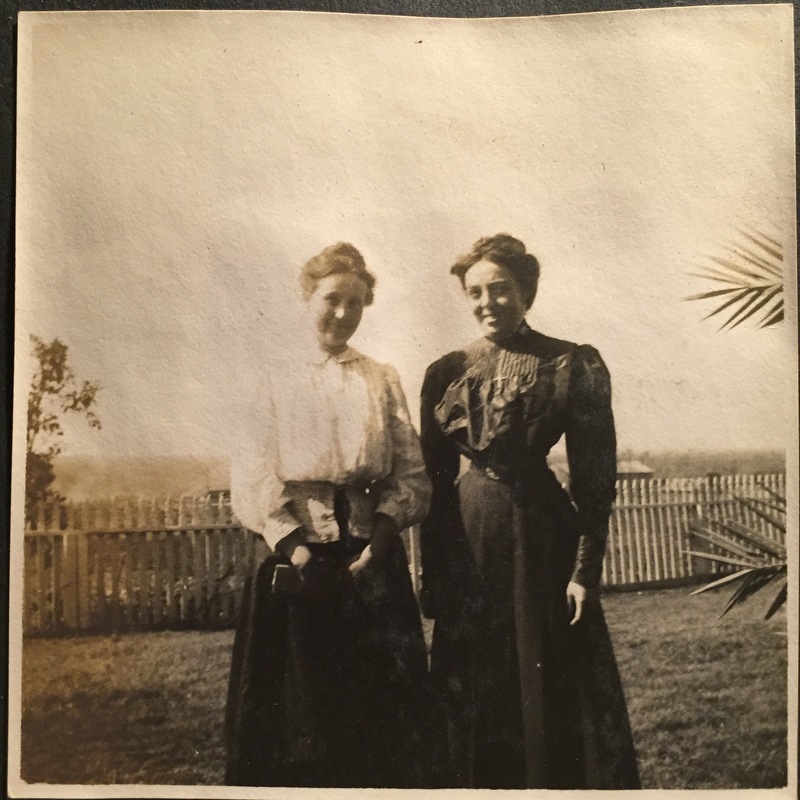 Apparently Anna and Mary, being close in age, had some friends in common. 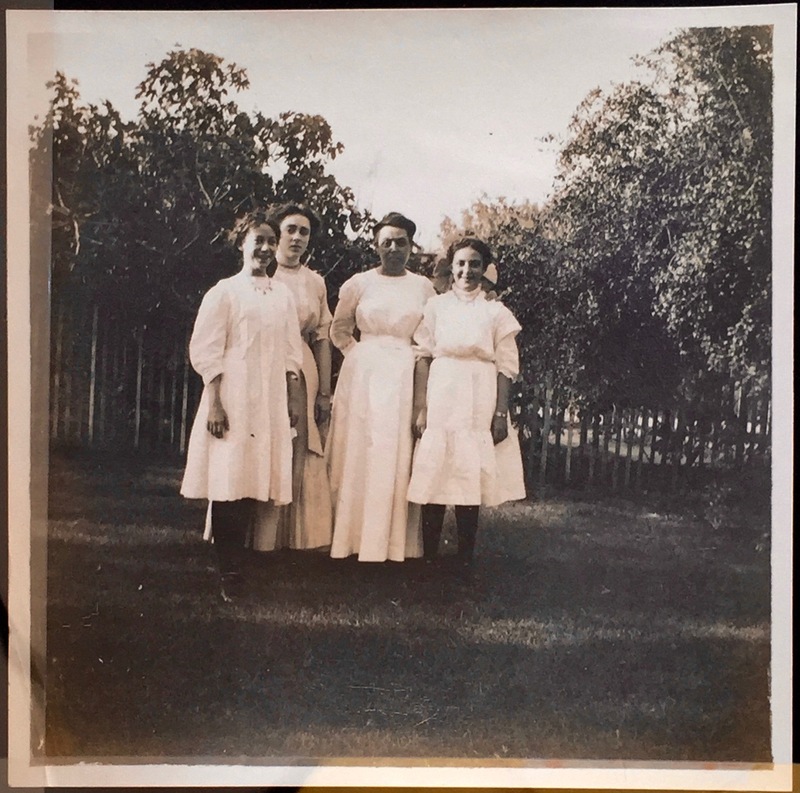 Anna also appeared to be close to some young women who might have been cousins and were having children of their own (since one of the albums has several pictures of toddlers, accompanied by these young women as well as older folks who might have been kin to Dr. or Mrs. MacG). Helen, Anna, and Mary MacGregor. Here’s another of the three of them. 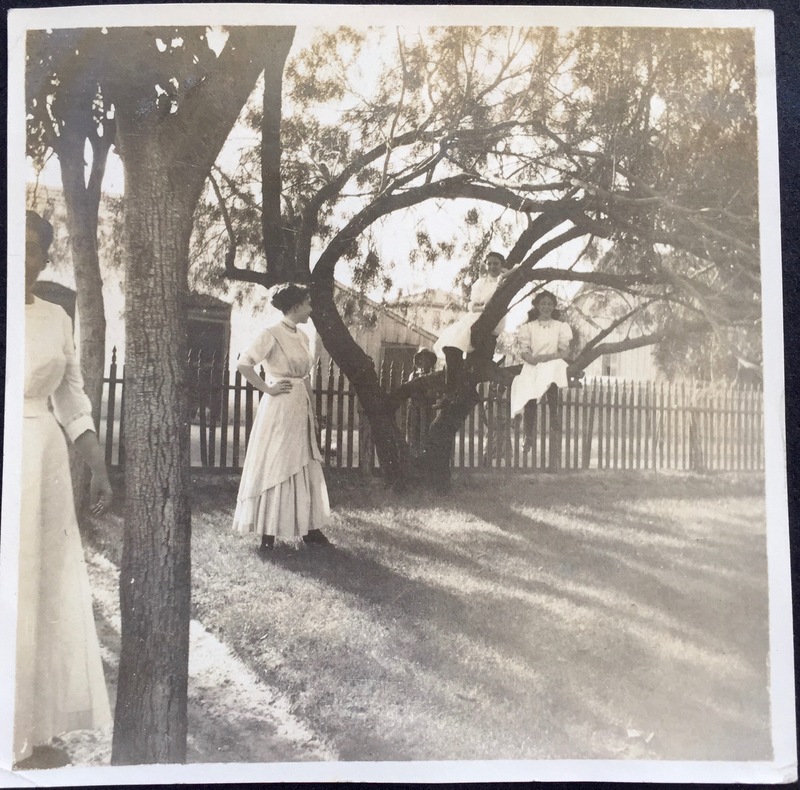 Unlike their baby and childhood pictures, which were posed shots and studio portraits printed on cabinet cards, these were snapshots—spontaneous and blurry and fun, taken by the girls themselves. At least one of them and/or their friends must have had a Brownie or some other early mass-market camera. It really lets you see so much more of what their life was like. 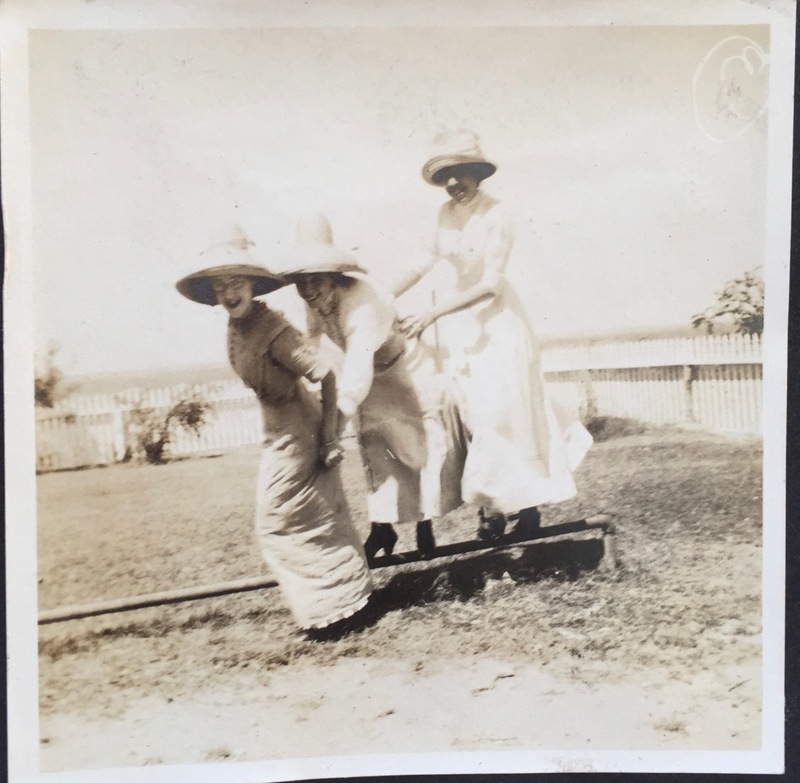 Helen, Mary, and Anna clowning around. Here are these three again (same day I think). 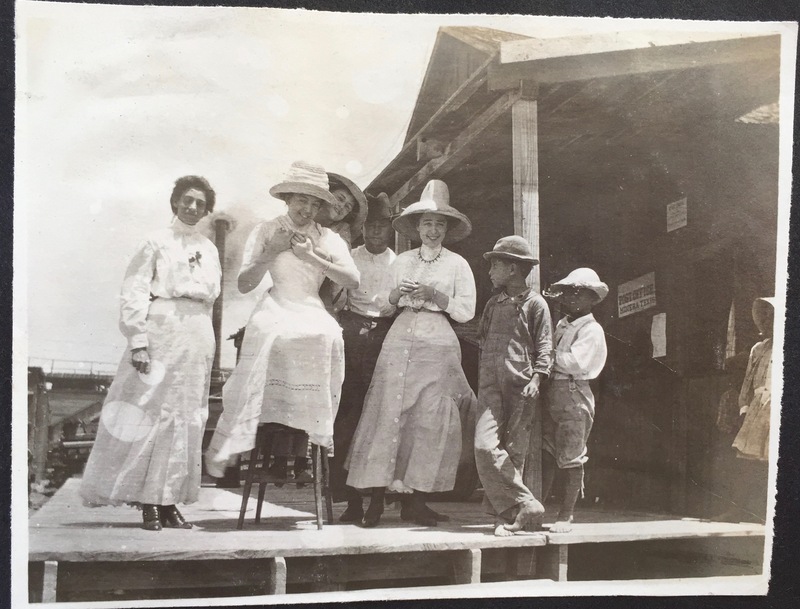 The sign on the porch behind them says “Post Office, Minera, Texas.” Minera was a tiny mining town outside Laredo. 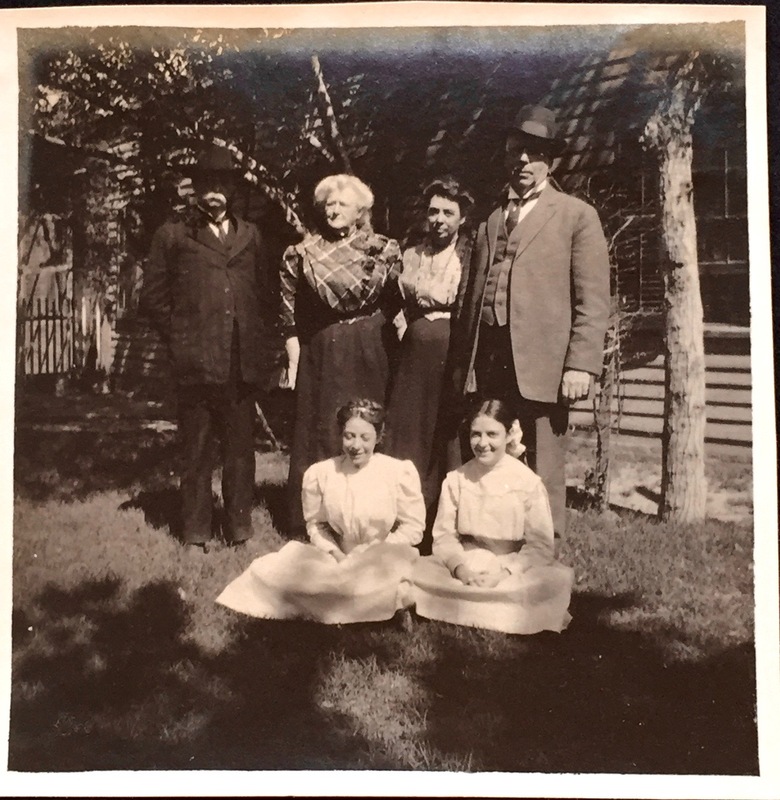 The women behind them are definitely Mother (Anna Jones MacGregor) on the right, and the white-haired woman is Dr. MacGregor’s sister, Catherine MacGregor Van Winkle. As for the men, I don’t feel I can guess yet… maybe the man on the right is Mr. Van Winkle? And the man on the left is… Dr. MacGregor himself? He seemed to usually elude these snapshots, so I hesitate to say it’s him. 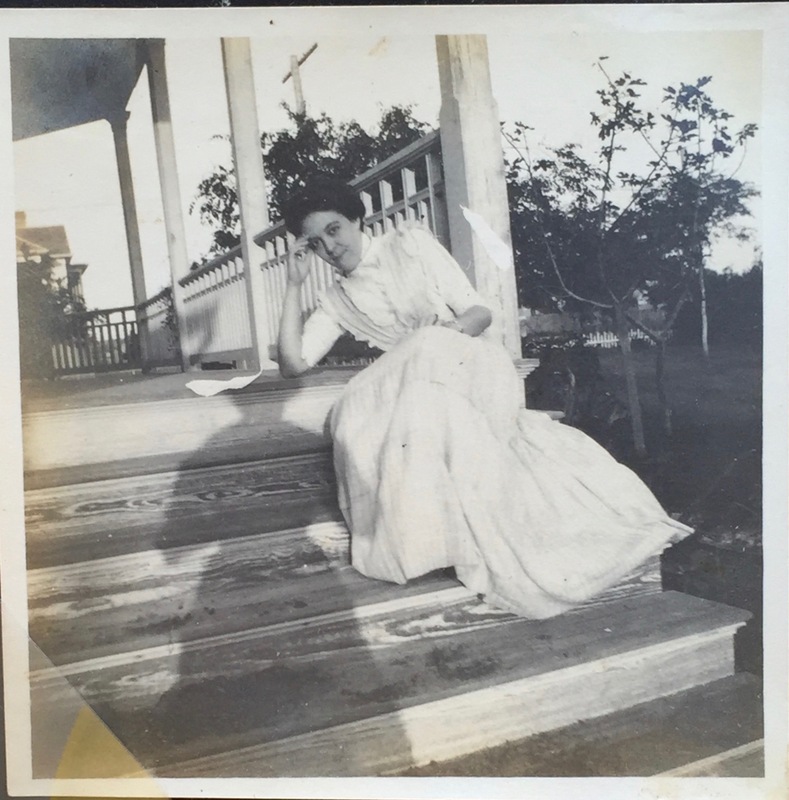 This entry was posted in Anna Jones MacGregor, Anna Kingsland MacGregor Collins, Helen Mallory MacGregor, Kathryn MacGregor Burgess, Laredo, MacGregor-Jones Family, Margaret MacGregor Morgan, Mary MacGregor Jameson, Texas, Uncategorized by Wendy. Bookmark the permalink.